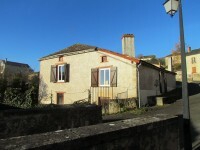 A real old French house in the centre of this picturesque village, fully insulated and double . . . 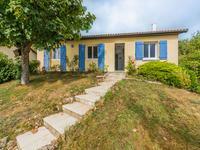 This is a gorgeous house with a little gîte, two delightful gardens and extra land. It has a . . . This will be a stunning piece of land - it is currently somewhat overgrown and is priced . . . This six-bedroomed house would make a perfect holiday or permanent home for a large family. . . . 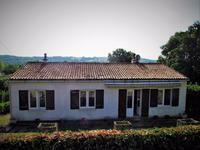 This is a lovely, comfortable house built in 1976 with an extension added in 2009 where there . . . This house was built in 1973 and has been lived in by the same couple ever since and is now . . . Build your dream home on this gorgeous plot of land situated on a no through road at the edge . . . Very private house and garden with the advantage of being within an easy walk of the village . . . This gorgeous house was built in 1982 and fully renovated in 2007 and offers modern living in . . .